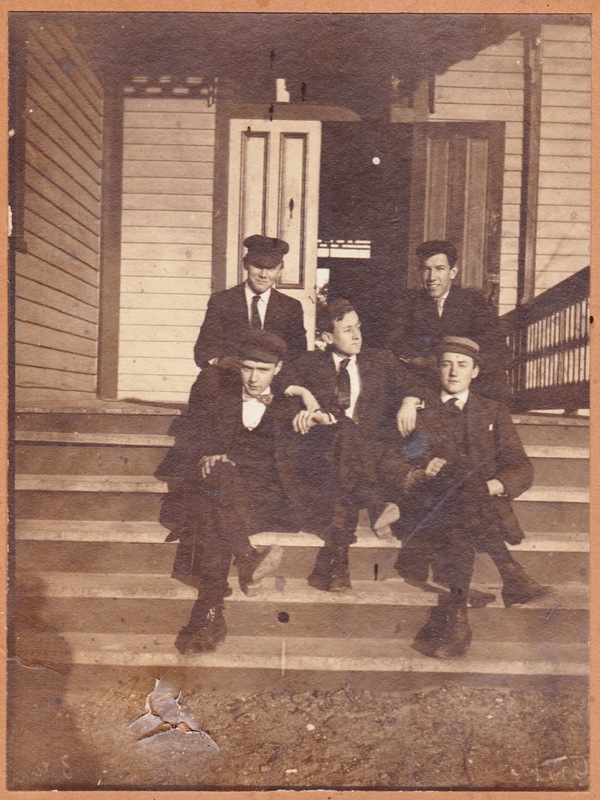 Here's another cardboard-mounted photo from the family archives. 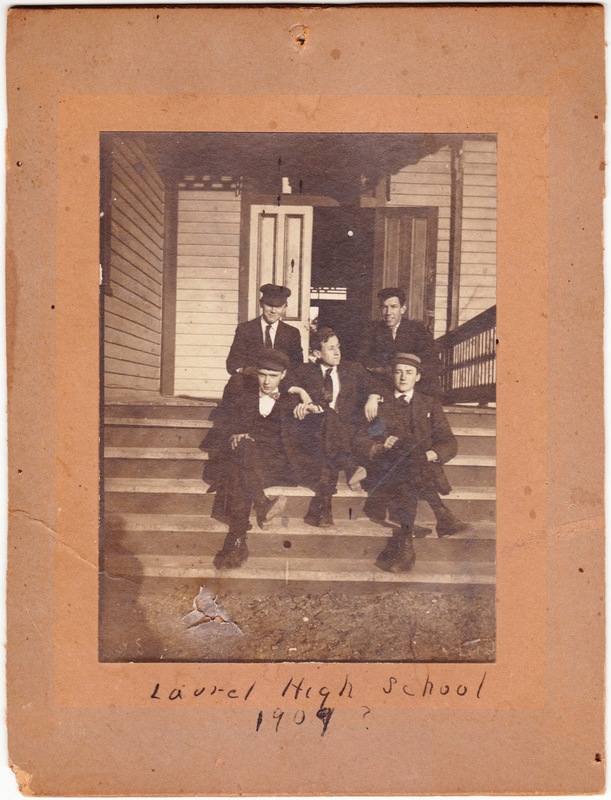 This one is labeled "Laurel High School 1909?" 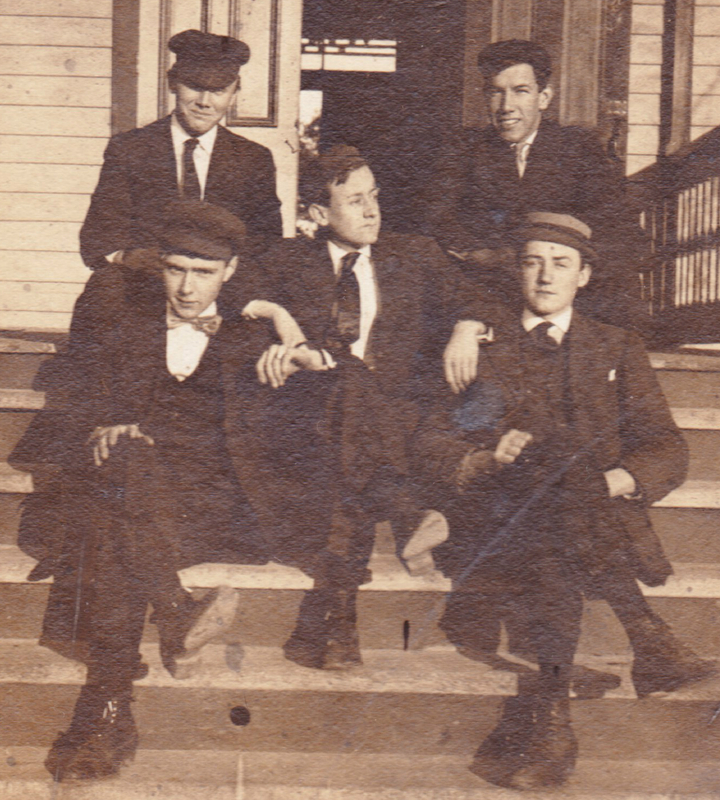 and it features my great-grandfather, Howard Horsey Adams. (That would be Laurel, Delaware.) Howard was about 17 years old at the time, and this is about five years before he was introduced to my great-grandmother. So, if any of you are related to Clifford, Elijah or Clareton, then this is confirmation than our ancestors used to hang out!